Today’s technologies are exploding with new tools for communication. But nothing takes the place of face-to-face interactions. Non-verbal communication is more important than spoken. Your posture, and the way you hold yourself and move about in your personal space reflect how you feel about yourself. Too much hand movement detracts, rather than enhances communication. You can sense when someone is consciously or unconsciously trying to move boundaries outward. This often happens out of insecurity. Our visual, auditory and tactile senses work for us to receive and to send messages. The more channels employed, the greater the chance for successful communication – whatever the message may be. Each of us has a varying need for touch, just as we have varying communication preferences. This is important to remember when first meeting someone. Respecting another person’s personal space is vital. Standing too close can send a wrong signal and force another person to step back or “hold the line” in terms of pushing back or away. 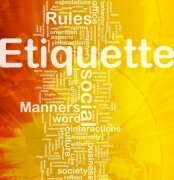 I was at a luncheon recently and a woman directly across the table from me had a habit of reaching into the personal space of the guest next to her and patting that person’s forearm as she spoke. It was one of the first things I noticed about her. After lunch, she came across to chat with me and she did the same thing. She also stood very close to me. She was socially well-positioned (a donor of the institution that was hosting the event), and she seemed to assume a closeness with others. I wondered if the other guests felt as I did -- relieved when the conversation ended. Especially with people you’ve just met, it’s best to curb your habit of repeated touch. If a positive impression is your goal, being a personal space invader will not help you achieve it. Friendly Touch or Creepy Touch? 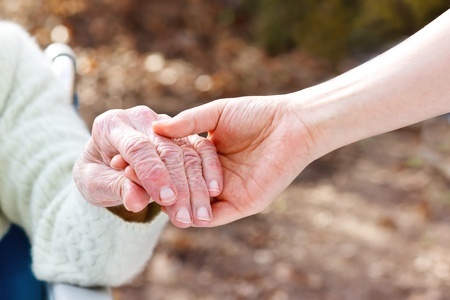 Touching another person conveys many messages such as encouragement, affection, caring and demonstrated attention. But without authenticity or clear reason for reaching out, it can be extremely off-putting. One of the most irritating violations of personal space comes from mis-touching. For example, the touch on the arm or hand that lasts too long, or the hard pat on the back. Touching often has sexual implications—natural and desired. But it’s so important that it must be acknowledged. That’s what etiquette helps us do. A friendly touch is a good thing. In fact, we Americans don’t do nearly enough of it! A friendly handshake. There is nothing quite as nice as an authentic hello simultaneously experienced with a handshake and eye contact. Closer friends often hug or offer a partial embrace, but this usually insinuates familiarity with one another. A pat on the back. Praise someone and give that person a pat on the back. But just a quick pat. No need to leave your hand on the back, or let the pat turn into a back rub. Keep touching situations brief and public is better. Think situationally and relationally. Where are you? What are the roles of people who are there? (e.g. teacher, student, parent) How well do you know the other person? Learn commonly perceived touch behaviors that can signal inappropriate advances: whispering, lingering touch or eye contact. Put yourself in the other person’s place. Ask yourself how you might feel if you were in that person’s shoes. As important as human touch is, it’s always best to understand what implications it may have. Remaining aware of your situation and tuning in to the non-verbal communication from the people you interact with, you will know a friendly touch from a less desirable one.